I, Tina Nupur started my career with BeeGee’s Marketing Promotions – a company involved in conceptualizing and implementing some of the most successful consumer promotions in India. Some of our clients include Samsung, Nestle, Bharat Petroleum, Indian Oil, Daewoo Motors, PepsiCo, Frito Lays, Hindustan Lever, Coca Cola, Hindustan Petroleum etc. BeeGee’s Test Kitchens was subsequently established to cater to the needs of Consumer Durables manufactures and marketers and FMCG segments. Thereafter we have worked closely with various microwave and appliance manufacturers and marketers including some of the leading brands in the country today. Our innovative techniques and wide experience has helped us establish ourselves not just as a recipe developer / publisher but also as a consultant in product planning and performance testing. BeeGee’s Test Kitchens specializes in developing cooking processes, techniques and recipes for various white goods and kitchen appliances. We have also been associated with content development and production of video CDs, conducting training programs for sales and support staff as well as pre sale and post sale cookery classes for consumers of microwave ovens and gas ranges for various brands pan India. 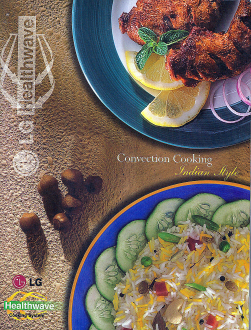 We have also developed Indian auto cook menus, algorithms and recipes for Whirlpool of India which were launched by them in 2010 and continue to be in use till date. Another significant achievement of ours has been the development of “InstaSnack” – long shelf life, dehydrated microwave convenience food. When microwaved with water for a few minutes, they dish out “fresh like” snacks of “restaurant like” quality and taste profile that is difficult to differentiate from snacks freshly cooked from scratch. We have also developed cryo – mechanically frozen InstaMeal “Ready to Eat” snacks, meals, bakery products and Indian mithai. Market tests for both InstaMeal and InstaSnack were successfully undertaken by us with major coffee chains and microwave manufacturers. We also offer some innovative “customized cooking solutions” for enhanced kitchen appliance usage and versatility (patent pending). We believe that our solutions have the potential to revolutionaries the way cooking appliances are perceived and used today! We also undertake the development conceptualization, content and production of video CD’s, DVD’s and audio books. 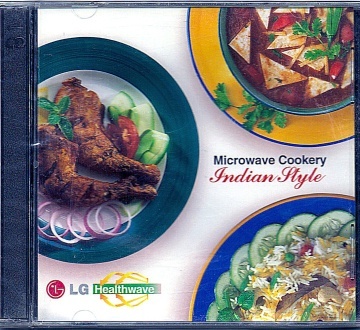 “LG Microwave Cooking Indian Style” – a set of 2 VCD’S with a voice over in 8 Regional Indian Languages was given free along with LG microwave ovens that helped establish microwave ovens as an “essential” cooking appliance in Indian kitchens. We have been involved with the management of cookery classes / demonstrations for microwave ovens and cooking ranges for pre sale and post sale consumers pan India. These classes were successfully conducted through chefs / demonstrators trained (and managed) by us at leading five star hotels / community centers across India. We also conduct product performance training sessions for service, sales and support staff pan India. 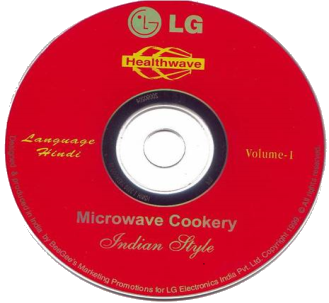 We have developed Indian auto cook algorithms and easy to use recipes for Whirlpool microwave ovens in India which are currently in use. We also undertake testing of product suitability for Indian conditions and help in establishing their USP’s to highlight performance superiority as well as comparative brand testing of performance features. A first of its kind cookery contest - BharatGas “Cook & Win” contest an “on the spot” cooking competition was conducted by us for BharatGas (Bharat Petroleum) in Delhi / NCR. 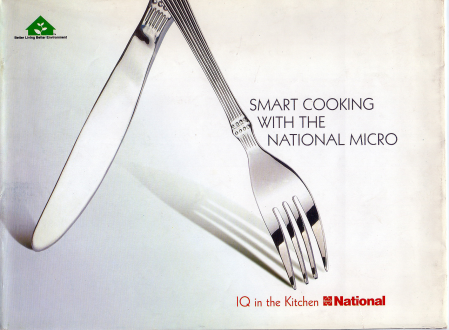 We created the Whirlpool - Knorr “Recipe Mania” booklet which was designed to establish the convenience of microwaves ovens for everyday cooking using Knorr Instant Mixes for quicker and uniform cooking results. 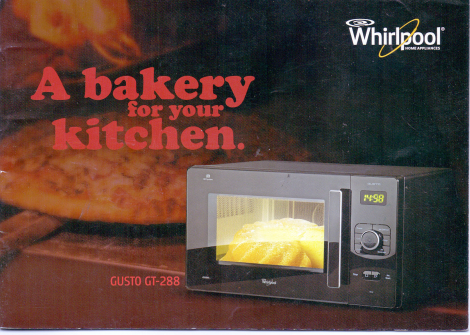 Creation of Whirlpool “A Bakery in your Kitchen” booklet designed to establish Whirlpool microwave ovens as an ideal baking substitute to conventional OTGs using instant cake mixes and easy to prepare bakery products at home. 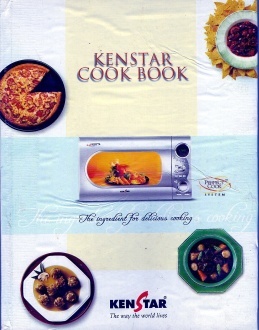 Content development and publishing of “customized” recipe books for kitchen appliance and FMCG marketers. Content development and publication / production of VCDs, DVD’s and audio books. Product development – validation of technology, auto cook algorithms and recipes for kitchen appliances as well as comparative brand testing. 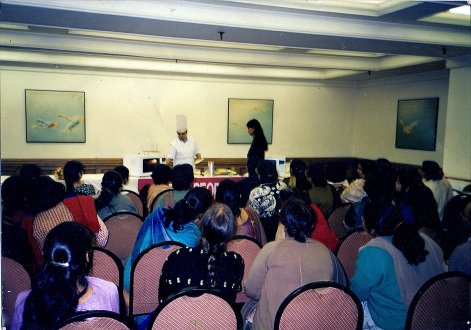 Training, organizing and management of cookery classes – pre sale and post sale. Conceptualization, organization and management of cookery contests. Standardized training of demonstrators / brand “chefs”, sales and support staff. “Tina Nupur, an MBA in International Marketing, is India’s foremost expert on microwave cookery. Currently she heads BeeGee’s Test Kitchens (New Delhi), which specializes in developing microwave cookery techniques and recipes for Indian, Oriental and Western cooking. 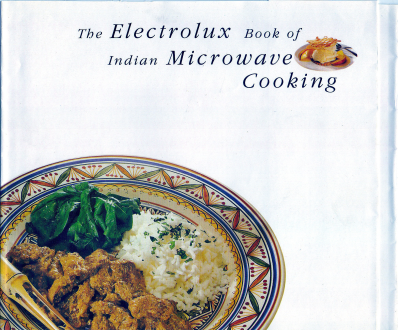 Tina Nupur is credited with developing the “step by step Indian cooking method” for microwaves. 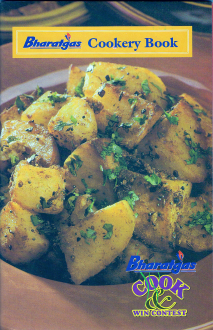 This method mimics the exact steps taken for conventional Indian cooking (on gas) to bring out the exact flavour, taste and texture of food cooked by traditional methods. That is why, Tina claims her microwave recipes would give you the taste and flavour of your mother’s cooking. 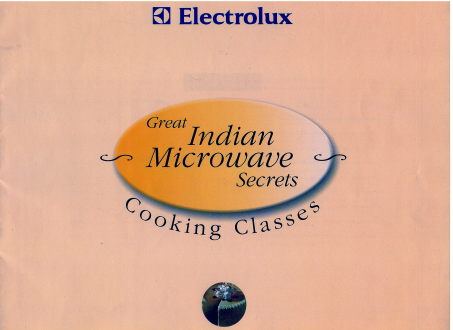 “ Tina Nupur, an MBA in International Marketing, is India’s foremost expert on microwave cookery. She is a microwave cookery consultant to the top five microwave brands in the country. Tina has also authored “All You Wanted To Know About Microwave Cookery” and four other microwave cookbooks. 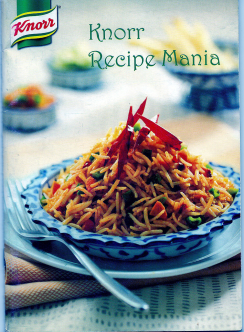 As head of BeeGee’s Test Kitchens (New Delhi) Tina Nupur is credited with developing the “Step by step Indian Cooking Method” for Microwave Ovens. This method mimics the exact steps taken for conventional Indian cooking (on gas) to bring out the exact flavour, taste and texture of food cooked by traditional methods. That is why, Tina claims her microwave recipes would give you the taste and flavour of your mother’s cooking. Tina Nupur has also been associated with microwave cookery training programmers for different brands, on an All India basis. And has run training classes for microwave sales and support personnel. Currently she is developing a microwave cooking academy on the lines of the microwave cooking academy run by National Panasonic, Singapore. “Tina Nupur, an MBA in International Marketing, is India’s foremost expert on microwave cookery. 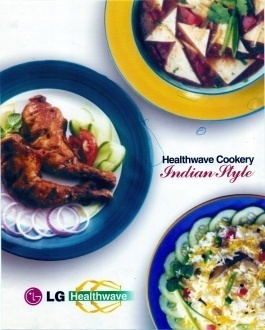 She is a prolific microwave cookery author, having authored microwave cookery books for all major microwave brands in India. She heads BeeGee’s Test Kitchens (New Delhi), which specializes in developing microwave cookery processes, techniques and recipes for Indian, Oriental and Western cooking. Among the microwave cooking processes and products, she pioneered the revolutionary “step by step Indian cooking method” for microwave ovens that brings out the exact flavours, taste and texture of food cooked by traditional stove cooking methods. 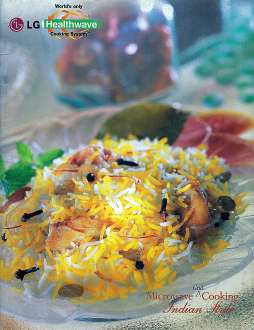 Tina claims her Kenstar microwave recipe would give you the taste and flavour of authentic Indian cooking. Another significant achievement of Tina and her team is the development of “InstaSnack” – long shelf life, dehydrated microwave convenience food. When microwaved with water for a few minutes, it dishes out “fresh like” snack of “restaurant like” quality and taste profile that is difficult to differentiate from snacks freshly cooked from scratch.